One Electrical was awarded the Electrical and Automation Systems contract with Downer Construction for the construction of a new Water Reservoir in Rototuna, Hamilton. The contract scope included supply and installation of service mains from the new 500kVA site transformer, Earthing Systems, Motor Control Centre, Distribution Board, PLC, Variable Speed Drives, Network Hub, Lighting and Power. For essential services we supplied and installed an Uninterruptable Power Supply System and 350kW Standby Generator designed to transition from utility power to standby power seamlessly in event of a power failure. Being a new build allowed us to ensure the components and systems installed were robust, reliable, compatible and of the latest technology. 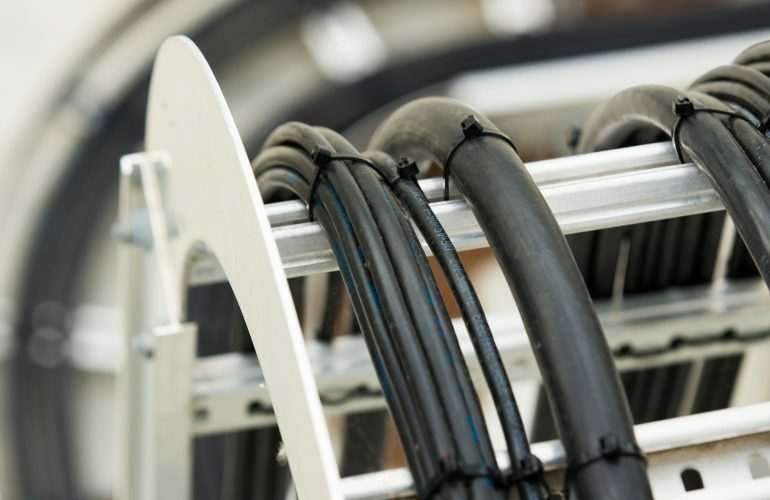 The entire installation, from underground cabling, through to the cable systems installed within the plant has been completed to industry best-practice methods. Future proofing has been included into the design, allowing maintenance and future capital works on the plant to be completed efficiently. One Electrical provided a full working-set of CAD Electrical Drawings for the build, followed by As Built drawings on completion. The drawings form part of the handover package that is given to the client. The facility is unmanned, but monitored remotely via microwave link by the Hamilton City Council Waters team. They can observe the critical parameters of the plant, and execute adjustments if required. We installed a range of sensors throughout the plant to measure temperature, vibration, pressure, level, flow, pH and chlorine all of which collect data and report into the SCADA System where the data is logged and trended. When operators visit the site for their daily checks and sampling, they have an HMI to remotely access the plant operating system if required. One Electrical worked with manufacturer technical specialists in the pre-commissioning and commissioning phases of the project to set-up the MCCB’s, ATS Devices, Rotork Valves and Variable Speed Drives. This ensures that the component parameters are at optimum settings for performance, it mitigates nuisance issues and warranties are fully supported by the manufacturer. We are proud that our component of the project was completed safely, on time and on budget.